Los Angeles is home to a huge variety of sports teams, with the most prominent including basketball, football, soccer and hockey teams. Locals love to flock to their nearby stadiums and coliseums to tailgate and cheer on their favorite teams. Check out the most iconic spots to visit in the Los Angeles area. Located in Downtown Los Angeles, the Staples Center is one of the most prominent sporting facilities in the entire LA area. 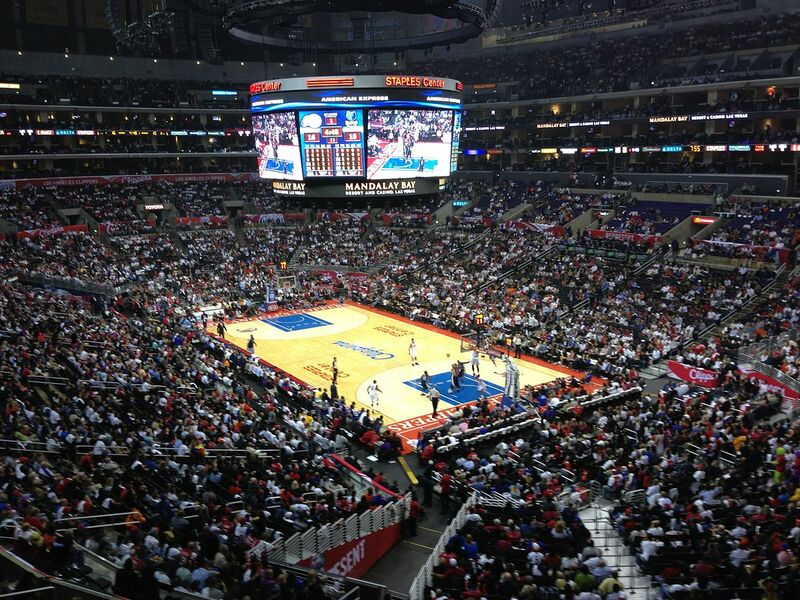 The arena is most notably home to both the Los Angeles Lakers and the Los Angeles Clippers men’s basketball teams, as well as the LA Kings hockey team and the LA Sparks women’s basketball team. Aside from sports, this multi-purpose facility hosts over 250 events every year, including concerts from the likes of Bruce Springsteen, Paul McCartney, Barbra Streisand, The Rolling Stones, Bon Jovi and Taylor Swift since its opening in 1999. Pauley Pavilion is an indoor sports arena located at the University of California, Los Angeles campus. 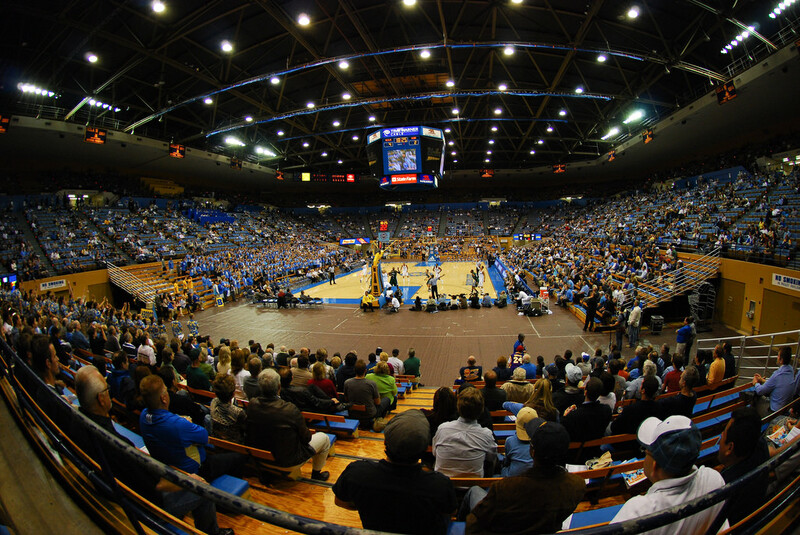 It is most prominently used for UCLA men’s and women’s basketball games, but it is also home to the school’s volleyball and gymnastics teams. The building was built in 1965 and named after UC Regent Edwin W. Pauley, who donated a huge sum used in the building’s construction. In 2010, the building was closed for renovations and reopened in 2012. Today, the building is set up in a modern style and decorated with memorable achievements from throughout UCLA’s athletic history, with notable references to the beloved former coach John Wooden. 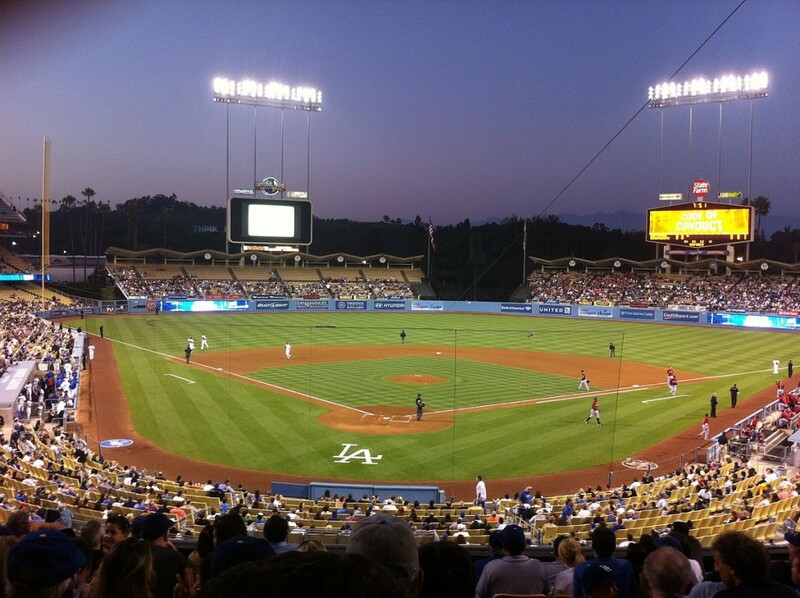 Located in Elysian Park, Dodger Stadium is a famous baseball stadium named after the LA Dodgers, the MLB team that calls it home. This stadium opened over 50 years ago in April 1962, making it the third oldest park in the MLB after Boston’s Fenway Park and Chicago’s Wrigley Field. Dodger Stadium also has the largest seating capacity in all of the MLB, and has hosted games in a number of World Series in addition to parts of the Summer Olympics. An outdoor stadium located in Pasadena, Rose Bowl Stadium is the 17th-largest stadium in the world. This stadium was built in 1922 and now has a capacity of over 95,000. 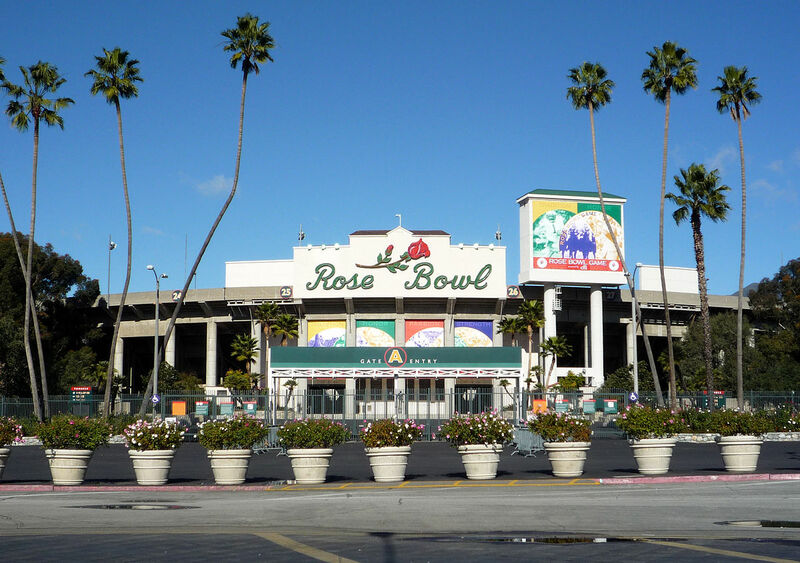 The Rose Bowl is most recognized for hosting American football, especially the annual Rose Bowl game, in addition to five Super Bowl games to date. In 1982, the UCLA football team moved to The Rose Bowl, and they have been playing there ever since. The stadium also houses soccer games, including a number of past FIFA World Cups and more. 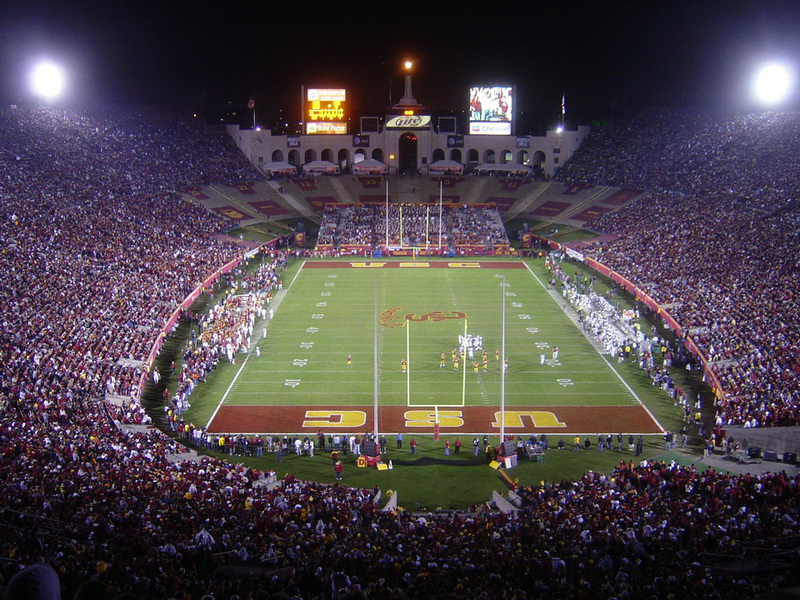 Located in Exposition Park across from the University of Southern California, the Los Angeles Memorial Coliseum is best known as a football venue. Currently, the stadium is home to the University of Southern California Trojans football team and the LA Rams of the NFL. The stadium has a capacity of over 93,000, making it the largest in the Pac-12. The Coliseum has hosted the Summer Olympics twice, and once was home to the LA Dodgers, the LA Raiders and the UCLA Bruins. The site is a National Historic Landmark, as well.